Since December 2014, Mr. Bakshi has been connecting thousands of people in five global cities: New York, New Haven, Tehran, Herat, and Havana. 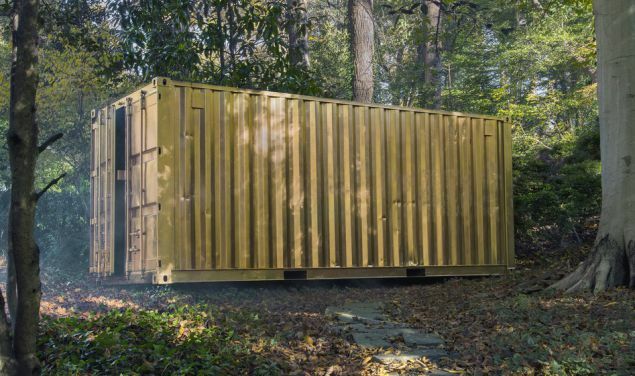 The artist has created a series of “portals” using specially-designed, gold-plated shipping containers decked out with audio and video technology. Inside, viewers can live video chat for 20 minutes at a time with anyone located at one of the sister portals—all you have to do is sign up online for an appointment. “They’re taking 20 minutes in a space,” Mr. Bakshi told ABC News, “to do nothing but admire, appreciate or dislike another human being as a piece of art.” Whether the participants end up singing, dancing, or simply chatting, is up to them. Mr. Bakshi received a law degree from Yale in 2015, and is the founder of Shared Studios, an art and technology collective that focuses on global communication among disparate cultures. 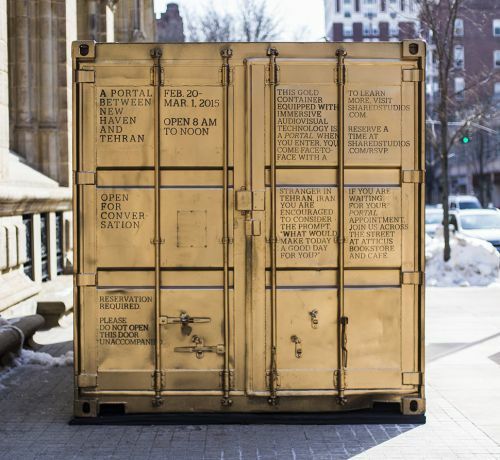 In October 2015, the artist plans to open a new portal in an undisclosed gallery in Chelsea, he told the Observer. He also hopes to bring the project to more remote, underdeveloped areas, such as Khartoum, Sudan.